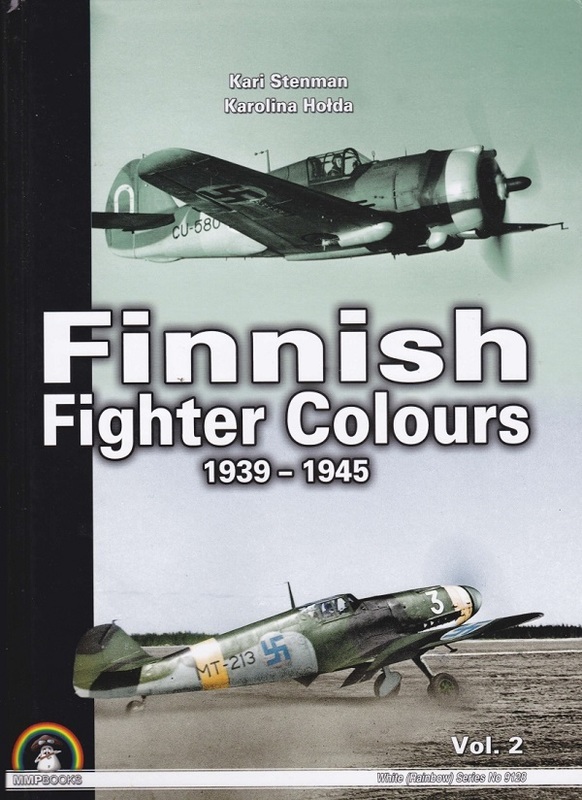 This second illustrated book completes an in-depth history of the colours and markings of Finish Fighter aircraft deployed during WWII (first volume is reviewed elsewhere here). Camouflage and markings of the fighters which were obtained from France, the USA, Germany, the UK and the USSR are described in unparalled detail by the well-known Finish aviation expert Kari Stenman. The book features many previously unpublished photographs, and specially commissioned color profiles. A rarely documented aspect of WWII aviation history, this is essential reading for aviation enthusiasts and scale aero-modelers. Vol. 1 in this series was published last year in September. MMP –Mushroom Model Publications is based in the UK. All their books are printed in English by their associate Stratus in Sandomierz. Poland. Stratus also does their own line of books in Polish and English. This book is hard-bound of 415 pages in 8 ¼” x 11 ¾” page format. The cover shows a black and white photo of a Curtis Hawk 75 flying along, above a color photo of a Bf-109G in a takeoff roll. These profiles are done on the same pages as the black and white wartime photos of the actual aircrafts being illustrated. Neat!! There are 5 wartime color photos in the book and 302 black and white wartime photos, 23 photos of pilots with their war records, 18 data charts and the appendices. There is a color illustration of a map of Finland showing all the air bases there during the war. This is one neat kit. Highly recommended to aircraft modeler and aviation historians alike. I want to thank Roger Wallsgrove Editor-in-Chief of MMP books and the folks at Casemate who sent me this book. Casemate is the N.American distributor of MMP books and all the titles can be seen on their web site.